I installed the bushings on a 1978 Ford Bronco, the truck was a restoration project that my Father and i are building together. The bronco has and lift installed by the previous owner but it sat for so long that the bushings were rotting and falling apart. we checked all the springs and suspension parts attempting to find the manufacturer of the lift for replacement bushing but were unable to find any names or part numbers. thank God for after market suspension parts. 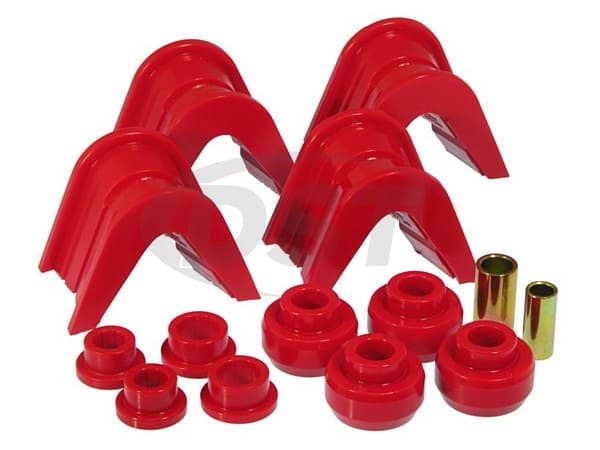 after some research to find out the different angles for different lift height, we contacted After market suspension parts.com and found the bushings with the correct offset angle. the new bushings installed beautifully and the Bronco rides great. Thanks again to After market suspension parts.com for carrying the correct parts needed to to help further our project.